It’s one thing to go swimming in a lake on a warm day. It’s a whole other experience to go swimming in a lake that’s bright pink! The water of a lake can appear pink for a number of reasons and the shade of pink might vary, but you can’t deny the unique colors of these waters! Below you will find the 10 best pink lakes in the world where you can have a truly unique experience. Situated on Middle Island, the water in Lake Hillier is permanently pink. Even if you take water out of the lake, it won’t change colors! The shore of the lake is covered in salt deposits and samples of the water show a high level of saltiness as well. No one can actually confirm why this lake actually looks more like a giant blob of bubble gum from the sky. The salt content in Lake Retba is right around 40%, which means it is almost as salty as the Dead Sea is in Israel. That means you can float quite easily in these waters, but you won’t want to stay in there too long because it can damage your skin. To access the salt or work in the pink waters, the local population smears a butter oil over their skin to protect it. The hue of the pink in this lake is dependent on the amount of sunlight that strikes it. 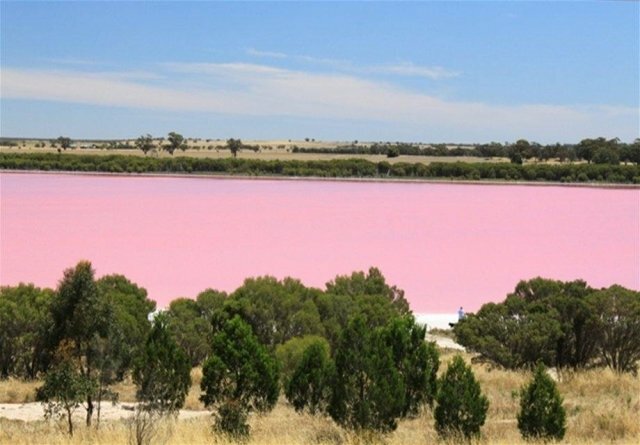 Unlike the first two pink lakes on this list, Hutt Lagoon on the western coast of Australia actually gets its pink color thanks to the color of algae that’s in the water. It is also a salty lake, but that’s because of the ocean water that feeds the lagoon. It’s called Pink Lake, but it only turns pink when the right mixture of salt and sunlight interact with the algae that call this lake home. It is nice, however, because the sands around the lake also take on the pink hue in different shades, giving you a unique pink/red beach rainbow that you won’t find in many places around the world. Torrevieja used to be a salt mining community and fishing is always an option with its location on the Mediterranean Sea. 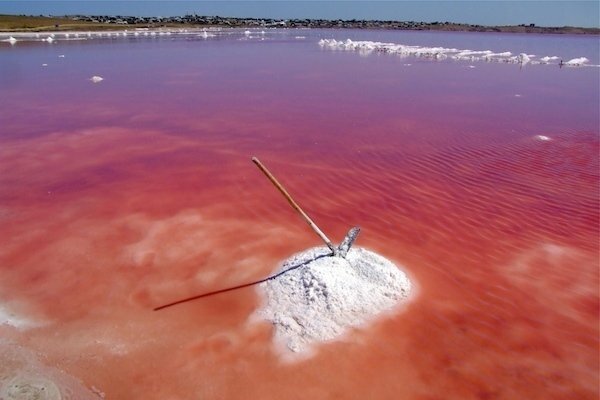 It also has one of the most stunning pink lakes in the world today, even though the salt content of the lake isn’t very high. Much of the city sits on an isthmus between the Sea and the lake, providing a nice little microclimate for Torrevieja that makes it a wonderful place to visit virtually any time of year. This pink lake doesn’t have any algae and there isn’t any salt content contributing to the color, so no one really knows why this Canadian lake is permanently pink. 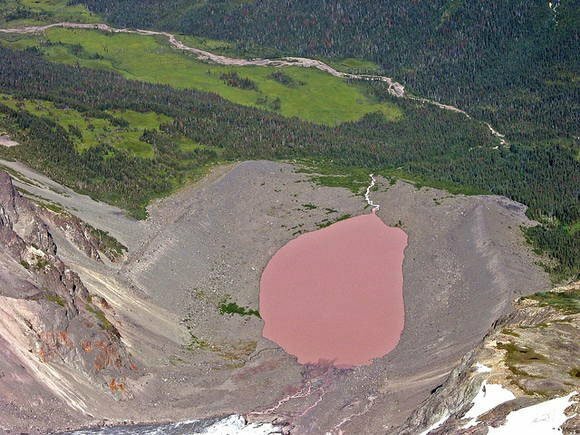 Yet this masterpiece in British Columbia is a marvel that draws visitors every year, although it might also be one of the most difficult pink lakes to access with its remote location. 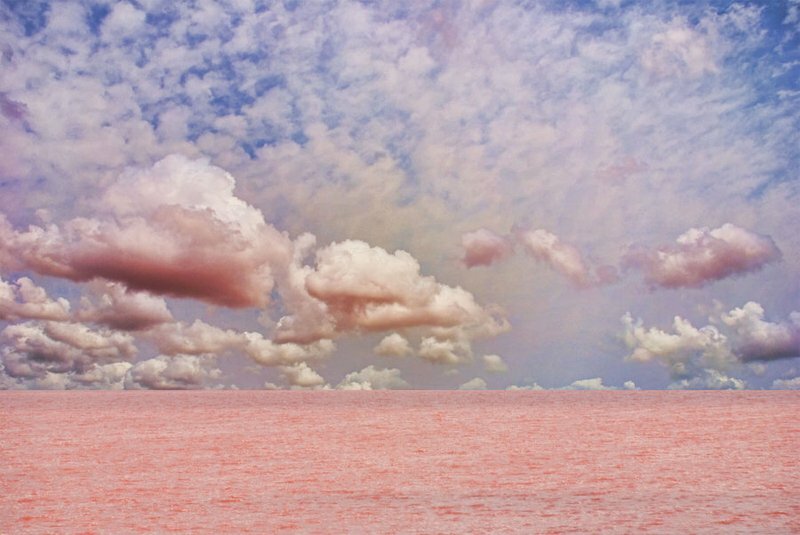 It’s definitely the salt that makes this lake pink. The locals have commercialized this lake extensively to harvest the over 1 billion tons of salt that are in the water and surrounding ground. 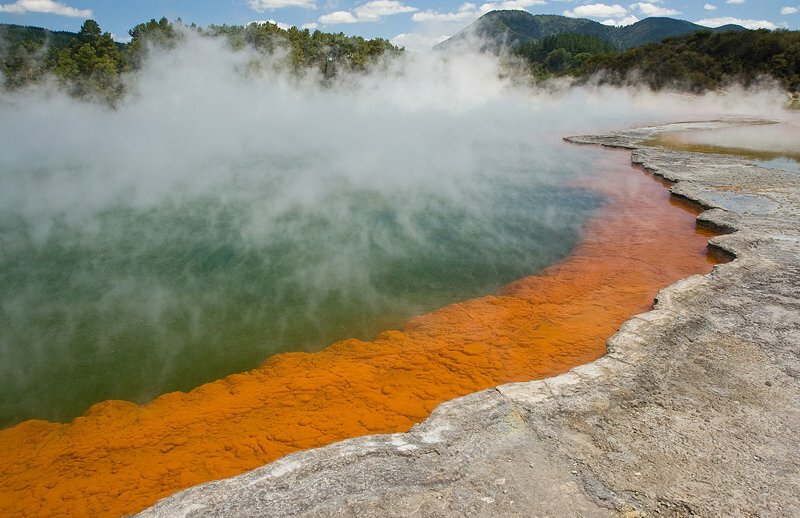 For added fun, there are extensive sulfur deposits in the area as well for that wonderful rotting egg smell. What makes this lake unique is not that there’s a road that cuts through the middle of the lake. It’s not for the fact that it is in a fairly remote part of the country. It’s the fact that the lake generally develops two different shades of pink throughout the year because of the road passing through it. Calling it a lake, however, is a bit generous. This one might fit better in a top list of pink ponds. The flamingos that call this lake home have the perfect camouflage. 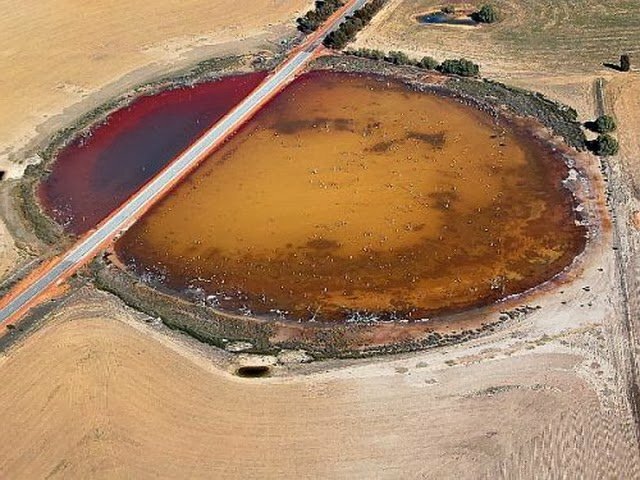 The color is caused by a combination of red mineral sentiments and algae in the water with a heavy concentration of borax to turn the dark red to a nice pink. It’s often quite shallow and is part of a nature preserve. This geothermal pool offers a unique experience because carbon dioxide bubbles up from the bottom, reminiscent of a glass of Champagne. Although the entire pool isn’t pink, as there are a number of different colors based on the different currents and levels of bacteria, there are times of the year where there is definitely a pink hue to the waters. Thanks for the heads up, we’re working on a follow up post to include the stunning pink lakes at Las Coloradas. Stay tuned! 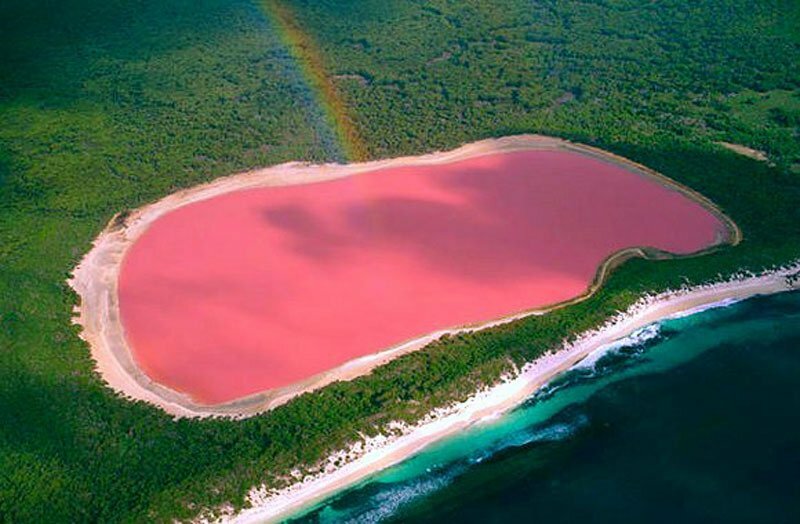 The photo for #4 Pink Lake is actually a photo of #1 Lake Hillier. I liked the list of pink lakes.. But still I can’t believe it.. Are they natural?